Moral philosophy often makes use of personal perceptions of moral intuitions and durable well-being (or happiness or flourishing) to judge the worth of foundational moral premises such as those underlying Utilitarianism, egoism, and virtue ethics. For John Rawls’ “reflective equilibrium behind a veil of ignorance” theory of justice, imagined moral intuitions from all conceivable perspectives directly determine what is just. Moral philosophy rightly prides itself on logic and rationality in considering the implications of foundational moral premises. However, the formulation and justifications for foundational moral premises are on shaky ground to the extent they rely on personal perceptions of moral intuitions and durable well-being. 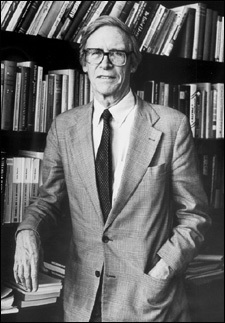 Further, once morality’s ‘ends’ in consequentialist moral philosophies are established, it is often not obvious what moral standards ought to be enforced to best achieve those ends, such as “maximize well-being for the most people”, “maximize personal well-being”, or be in accord with “reflective equilibrium behind a veil of ignorance”. The above difficulties have hampered moral philosophy since the time of the ancient Greeks. Moral philosophy’s reliance on personal perceptions of moral intuitions and durable well-being may be ending. Purely descriptive, objective knowledge from the science of morality is revealing the origins and function of our moral intuitions, cultural moral standards, and experience of durable well-being. Here, the science of morality means morality understood as biological and cultural evolutionary adaptations. Over the last 35 years or so, it has become progressively clearer that social moralities (morality dealing with interactions with other people) are sets of biological and cultural evolutionary adaptations selected for by the benefits of altruistic cooperation in groups. That means our moral emotions such as empathy, loyalty, and guilt, our moral intuitions, much of our experience of durable well-being, and past and present enforced moral standards were all selected for by the increased benefits of altruistic cooperation in groups they produced. That purely descriptive science could have profound implications for moral philosophy. The descriptive science of morality is moral philosophy’s useful servant, not its prescriptive master. This entry was posted in Uncategorized and tagged ethics, evolution, morality, science by Mark Sloan. Bookmark the permalink. You can derive an ‘ought’ from an ‘is’. Hume, the author of this so-called injunction, certainly thought so. Consider Hume’s famous remark, ‘Reason is, and ought only to be the slave of the passions…’ What worried Hume was that people switched from ‘ought’ to ‘is’ without justification. Thus, the only problem is a missing evaluative premise which bridges factual statements and normative statements. Let’s use Hume’s ‘slave of the passions’ remark as an example. After all, in its descriptive content, Hume’s claim pre-empts recent psychological accounts of moral judgment and action (a la Jon Haidt), where affect laden intuitions are assumed to do all (or most) of the work, and reason is a lowly servant. So Hume’s claim here is pertinent to contemporary discussions of the science of morality. In its present state, Hume’s claim is incomplete. He has moved from a factual claim regarding the subservience of reason to a normative claim that reason ought always to be subservient. Seen in context, however, Hume is discussing our capacity for moral action and the fact that reason is motivationally impotent. If we rely on reason, therefore, we will never act morally, because reason alone cannot cause action. To assume that reason can cause action is to err in light of the empirical evidence. On Hume’s account, reason supplies the passions with valuable information about what our desires are (epistemic rationality), and how best to achieve them (instrumental rationality). In this sense, reason is a servant, but a very valuable servant indeed. Thus, reason ought to play the subservient role it is suited to, and ought not to attempt the role of motivation, because otherwise no moral actions will get done. As such, Hume’s factual, proto-scientific claims support his normative claims, as a writer who wishes to see more people act morally. All we need to do now is refine and update his factual claims (and scientists/philosophers need to be explicit about what values they are using to bridge the gap between facts and prescriptions). David, as I already said in my post on Ken’s Open Parachute, I essentially agree with what you have said here. Yes, my admittedly superficial understanding of Hume is that his issue was with going from facts to oughts without explaining how that was done. I take what I understand to be the more conservative and common position that “it cannot be done” because 1) I did not understand the arguments I have read about how to do that and 2) pointing out it might be possible was likely to confuse my claim of instrumentally useful descriptive moral truth from science with being a normative claim. And altruistic cooperation strategies imply “Altruistic acts that also increase the benefits of cooperation in groups are evolutionarily moral”, the descriptive functional moral principle I have been advocating. Thanks for the discussion, I enjoy discussing these issues immensely! !